In the spirit of the thread of Milanese armours, I have made this one, though English armour doesn't have quite the same following. At least a few here should be interested. I just want you to know I will be continually updating this thread so I am literally working on it right now. Please add anything that I have left out. 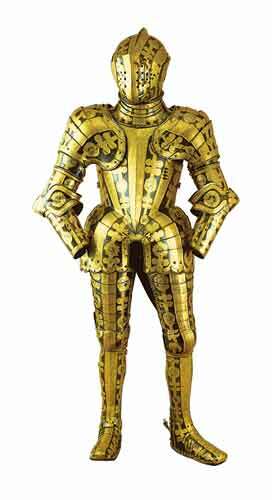 Armour of Sir John Smythe, c. 1590, Royal Armouries. Note that the breastplate and possibly some other parts were made in Augsburg and then brought to Greenwich to be added to the rest. thanks for these photos of Greenwich armour - great idea and some great pictures. The armour you think is not on display is (I think) the 'other' 1540 harness which was certainly on display in Windsor Castle when I was last there a couple of years ago. Windsor also has the highly decorated armour of Henry, Prince of Wales, 1608, (he died in 1612 or thereabouts so his younger brother succeeded as Charles I). Unfortunately I don't have a decent photo of the armour as photography is forbidden inside the castle and there were too many attendants around. Maybe someone will find a good photo of it. 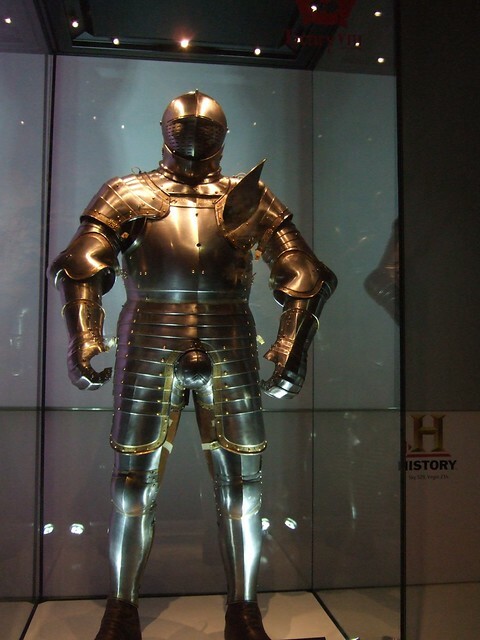 Correct, the "other"armour is on display at Windsor Castle in a link part that was added after the fire a few years ago. the entire garniture of Sir William Herbert, 1st Earl of Pembroke, made around 1557 is in the collection of the Glasgow Museums, and on display in the Kelvingrove. 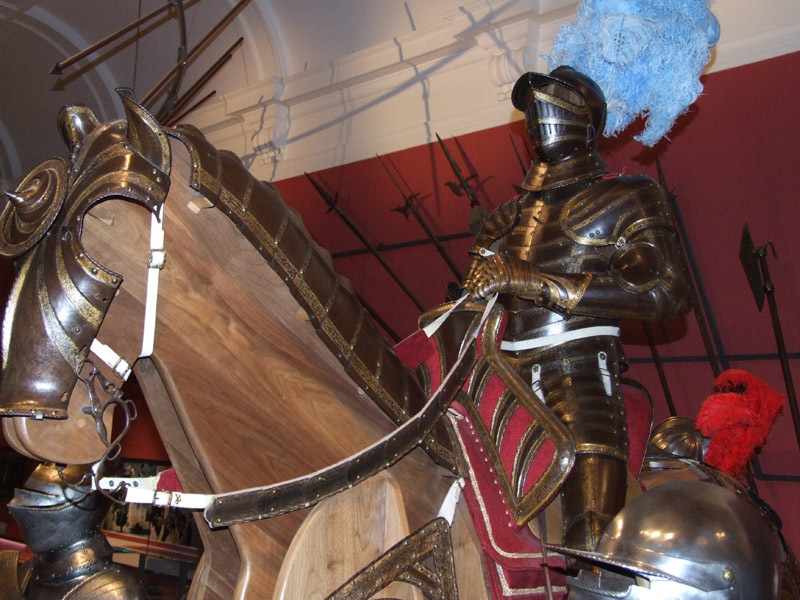 attached image below is of that harness, with the horse armour. the other parts are on display too. also there is the harness of his son, the 2nd Earl of Pembroke, from about the1580's, I recall. I think there's a third greenwich harness in there too, but my memory's flakey. Great thread! I know how much work goes into making one, I made the Milanese armour one, and I'm currently making a list of 15th century German armours. The second one is taking much longer since I don't have any literature that even attempts to list them. But I must say I find some of the armour listed here absolutely hideous. 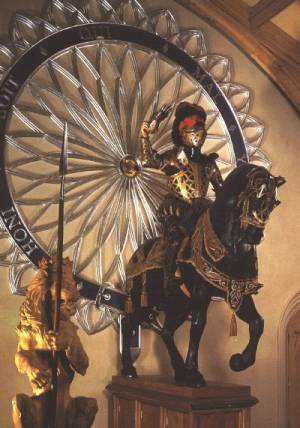 I think I will never understand how the taste went from realism of 15th century oil paintings (Dutch masterpieces etc) and graceful lines of Milanese and German armours of 15th century to big rounded armours of 16th century and distorted figures of Mannerism. But to each his own, I guess. I am loving these lists, lot's of work going into them. Thanks a bunch! Would it perhaps be an idea to collect these threads in the site's 'article' section, so people can use them for future reference? We already have articles that cover some of these forms, though they are not intended to be comprehensive lists/displays. An article that attempts to do the same as these forum threads would need more contextual info than these threads contain. These threads are Spotlight threads, though, and as such are easily findable by clicking the Spotlight Topics button. An article that attempts to do the same as these forum threads would need more contextual info than these threads contain. I think it's terrible that often there isn't a book written on the subject. If I were to copy all the info on (for instance) Milanese armour information from Claude Blair's European Armour or David Edge's Arms & Armor of the Medieval Knight (two often recommended books) there would be only a short paragraph on this very broad subject, and most of it is written very generally. Claude Blair for instance uses most of the chapter on 15th century armour for description of several changes in armour design during decades which would take a very small diagram, but he chooses to do it verbally. At the end you really feel that he only scratched the surface. 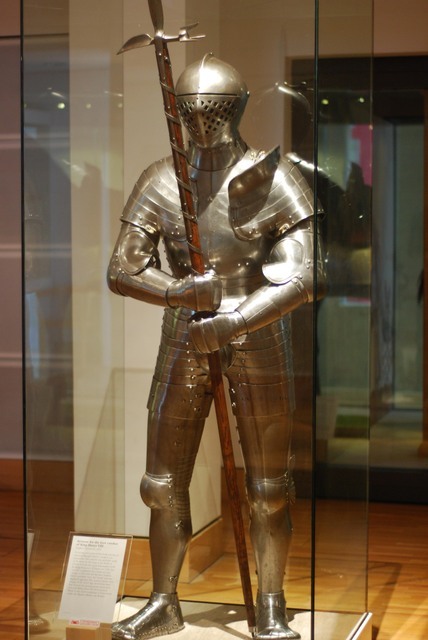 The Kelvingrove Museum also has another Greenwich armour, this one of uncertain date and ownership. However, it might have been for Robert Radclyffe, 5th Earl of Sussex, as the helmet decoration matches the one in his portrait. Several other burgonets and a close helmet can be seen. Armour made for King James I (which he probably did not wear very often) - date unknown. 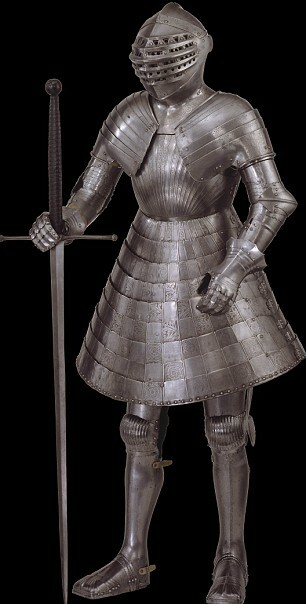 A similar armour which I photographed at Warwick Castle. This one was for a very small individual. An armour made for Christian, Duke of Brunswick, a gift from his cousin Prince Henry Frederick. Made sometime during the early 17th century. 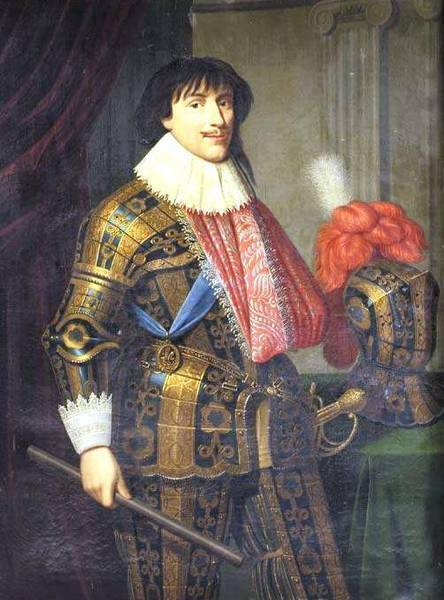 A portrait of Christian shows him wearing the armour. It is now owned by Ronald Lauder. was going through my photo library, and it was literally staring me in the face, and I could'nt remember which one it was. 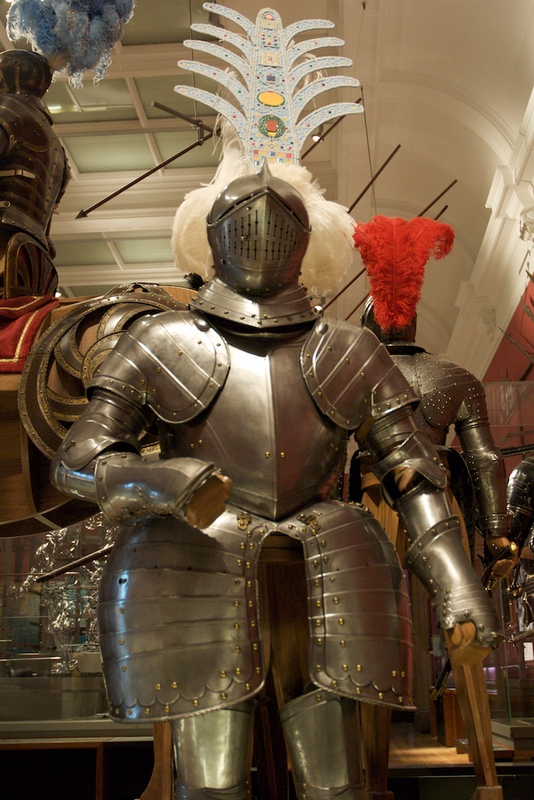 Here's another addition - the armour of Henry Frederick, Prince of Wales, which is on the left there next to George Clifford's suit. I wish to hell I could find a color picture since the armour has an interesting green color to it. Resurrecting this thread since I have recently found some more photos of Christopher Hatton's armor which are vastly superior to the single, old, small photo which previously was the only one. The link is on the Royal Collection's website.